"Offensively, the Pats can certainly pack a punch with Tom Brady throwing for 2,748 yards and 55 touchdowns so far this season and Sony Michel leads New England in rushing with 453 yards and 4 touchdowns." Two of the sides who have treated us to some of the most high-octane action thus far, the Los Angeles Rams and the Kansas City Chiefs, take a well earned rest this week after their thrilling 100-point-plus epic on Monday night. Even so, with a number of sides fighting for their footballing lives we could still see our fair share of excitement in Week 12 as six teams come off bye weeks to resume hostilities for the holiday season. 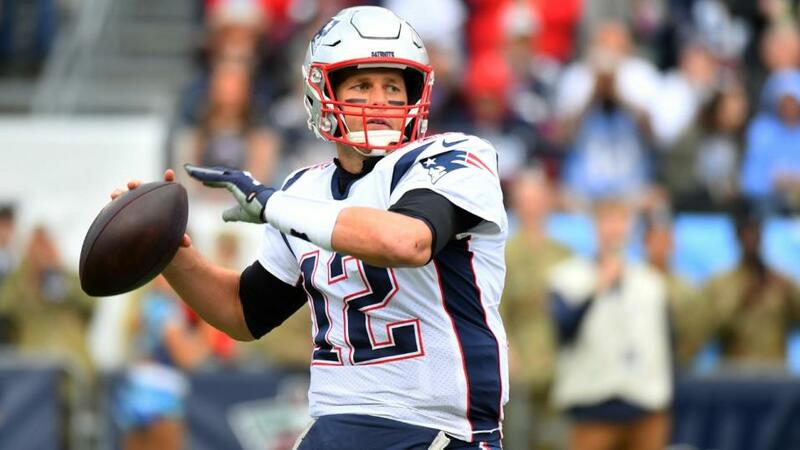 Tom Brady and his Patriots were flying until they suffered a heavy defeat to the Tennessee Titans before last week's bye and one of the key questions of Week 12 is how the AFC champions will respond to this result. Offensively, the Pats can certainly pack a punch with Tom Brady throwing for 2,748 yards, 55 touchdowns so far this season and Sony Michel leads New England in rushing with 453 yards and 4 touchdowns for a team averaging 377.2 yards and 28 points per game this season. In stark contrast The New York Jets are not in a good place and in need of a win to snap a 4 game losing skid following a 41-10 loss to Buffalo last time out and things will be a lot worse if rookie quarterback Sam Darnold is missing with a foot injury. With four division games remaining it looks like New England are winning the AFC East but will be looking to rack up the wins and with the Vikings and the Steelers yet to play might just see this as a chance of pushing on towards 11 wins. So even though both of these teams suffered an embarrassing defeat last time out it looks far more likely that the Pats will bounce-back better, especially seeing as they have more to play for, and a double-digit victory is not out of the question. 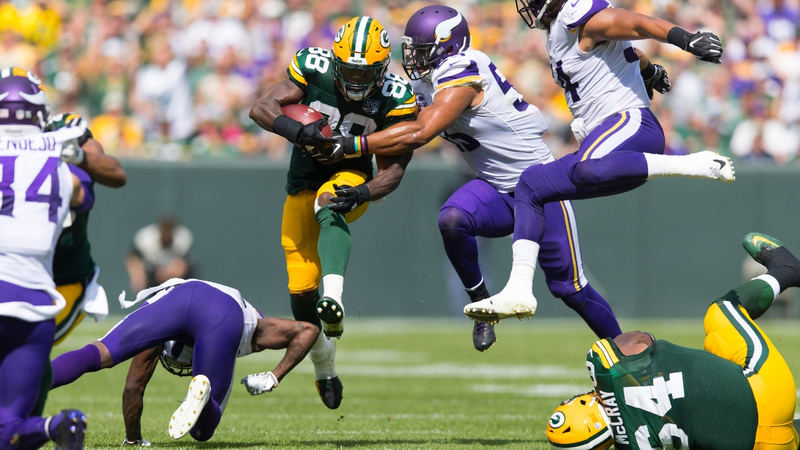 After losing four of their past six games, all of which have come on the road, the Green Bay Packers now face a must-win game against the Minnesota Vikings with their season all but on the line. However, they will have to win their first game of the season away from home and it will need to come against the Vikings who are coming off a tough loss to the Bears, who appear to have the NFC North wrapped up, especially with Minnesota playing at New England and Seattle next. A win at Minnesota could give this Green Bay team the spark it desperately needs but if it happens don't expect the victory to be by more than a point or three. The Seattle Seahawks (5-5) head to Charlotte on Sunday to take on the Carolina Panthers (6-4) with both teams in a fierce battle for the two NFC Wild Card berths along with the Minnesota Vikings. Much will be expected of each quarterback with Russell Wilson having completed 66.2 percent of his passes this season while throwing 23 touchdown passes while Cam Newton has 68.4 percent completion rate and thrown 20 scoring passes. So expect the Seahawks to be full of confidence after beating the Packers in Week 11 and if they can replicate that performance and find a way to get a key turnover against the Panthers there's every chance they can win a one-score game late on. It's a four-fold this week, with the choices being: Indianapolis (-7.5), LA Chargers (-13), Baltimore (-11) and Philadelphia (-5.5) currently available at 14.43 on the Sportsbook. The Colts are in red hot form at the moment with four wins on the spin while quarterback Andrew Luck can't stop throwing touchdowns while it's unlikely the Cardinals will pose a threat to the LA Chargers as they turn to rookie quarterback Josh Rosen to salvage their season. If Philly are serious about the post-season they need to beat the Giants who, despite winning two in a row for the first time this year, are unlikely to stand in the way of a side who know their season is on the line and the Ravens have a chance to win two in a row for the first time since September against a dreadful Raiders outfit. The Bengals might be 5-5, but they've now lost four of their last five, while the defence is still ranked last in the league. How much help Browns quarterback Baker Mayfield receives from running back and fellow rookie Nick Chubb against a leaky run defence could be the difference, though it might be worth a shot backing Cleveland at 5/4 on the moneyline as they look to avoid a record 26th consecutive road loss. This anytime touchdown scorer four-fold is priced at 10.17 at the time of writing and features four players who have every chance of getting on the board this weekend. My selections are: Antonio Brown, Saquon Barkley, Peyton Barber and Adam Thielen. If you're a fan of the 3TDs for both teams in each half bet then it might be worth considering the Dolphins@Colts game which is priced at 150/1.